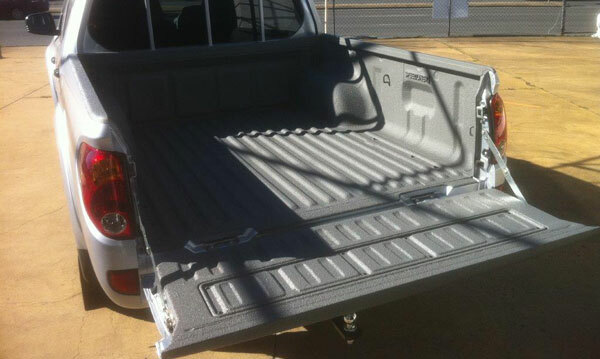 Truck Bedliners, Trailers, Boat Decks, Rocker Panels, Stairs, Walkways, Floors, Farm Equipment, Tool Boxes, Truck Accessories, Jeep (Interior and Exterior), Speaker boxes, and more. Minimum 3 HP (230 V, 1 phase) 2 cylinder with 60-gallon tank capable of 11.3 CFM @ 90 psi to be used exclusively for equipment only. Automatic drain is highly recommended. 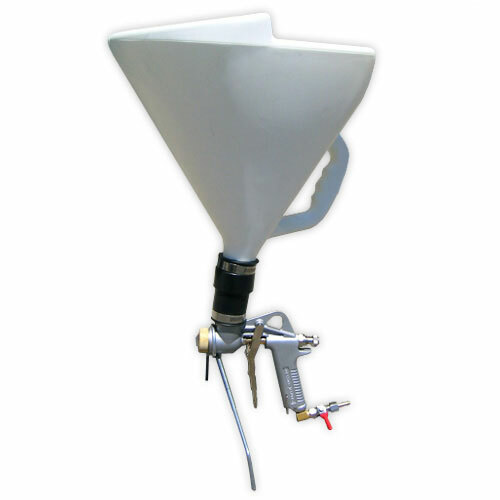 Minimum 5 HP with 80-gallon tank may be necessary if others in the shop will be using air tools simultaneously. The spray air needs to be less than 5% relative humidity as it leaves the gun. A 3-in-1 refrigerant dryer for your compressor is mandatory. Air membrane dryer is mandatory. Ventilation fans must exhaust air 2-3 times per minute. Forced makeup air will be required. Heated air will be needed in colder climates. Note: To determine the CFM of exhaust fan, take total volume of the room and double that number. 3,000 cu ft room will require 6,000 cu ft fan. INTERESTED IN BECOMING A SPEEDLINER® DEALER?